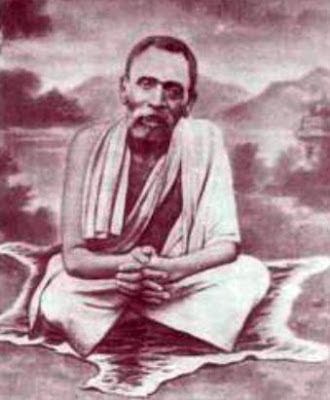 Sri Seshadri Swamigal arrived at Tiruvannamalai in 1889 when he was 19 years old. He lived uninterruptedly at this place for the next forty 40 years until 1929. He lived the life of an Avadhuta, with no home or ashram, and moved from place to place within Tiruvannamalai. After he left the body, his devotees made his samadhi at a spot off the Chengam Road, which was later to incorporate also an Ashram in his name which is located next to Ramana Maharshi Ashram. To those who have a connection with Sri Seshadri Swamigal, he is a great Mahan, and a source of strength, instruction and inspiration. But even to those who don’t know him, stories of his life and wanderings around Tiruvannamalai, of his interactions and miracles, are thrilling Divine leelas. For more information about his life go to this link here.
. . . Swamiji drove away his devotees’ ailments whether it was paralysis or lung disease or fever or whatever serious illness, they all would vanish at the sight of Swamiji. Ghosts, devils, brahmarakshas would fly away. Scorpion, Snake poison would all be reduced to ashes. Swamiji would offer such patients some bits of food brought out from his mouth. Sometimes he used to give some green leaves and herbs to eat. After consuming the same, the disease would vanish. “Swamiji aunt’s son Krishnaswamy Sastriar was living in village Thandarai near Tiruvannamalai. His first wife Shankuntala (also known as Alamelu Ammal) developed a strange poisonous ailment because of which her entire body became swollen. Her hands and legs became dead like the stem of a tree. She vomited often and ever time worms as long as four inches, came out with the vomit. Sastriar was flabbergasted. Even the doctors gave her up. Finaly he put her in his horse-driven cart and drove her to Tiruvannamalai. Near the point where the Temple Chariot was located, he found Swamiji. He jumped out from the car and prostrated before Swamiji, “Oh Cousin! Shankuntala is lying in the cart in a precarious condition. Please see her. Except you there is none who can cure her. I have come all the way only to seek your help”, he said, all the while in tears. Swamiji saying, “Oh, is that so? Where is she?” Got into the cart, he put his feet on the lady’s legs, abdomen and neck and crossed over to the front of the cart and took hold of the horses’ reins and whipped it to speed up. The horse ran like the high wind. He stopped it near the Sadhu Chathram and got down from the cart. He came to the rear and picking up some earth, threw two handfuls inside the cart. He made her swallow another handful of mud. He asked her to pack three handfuls of earth in the corner of her sari and instructed that she should smear the same on her body for three days and departed. Sastriar followed the instruction and on the fourth day her ailment vanished. Chengalvarayana was a pleader in the criminal court in Tiruvannamalai since 1899. Later on in hkis old age he donned the saffron robe and was serving Swamiji as his disciple. He had a friend by name Rao Bahadur Siva Chidambaram Pillai, a Deputy Superintendent of police. Pillai’s daughter, Meenakshi, developed high fever with delirium at 105 degrees F and the fever did not abate. The doctors gave up the case as difficult to cure. Chidambaram Pillai wept bitterly before his friend Chengalvarayana. He, out of compassion, informed our Swamiji who was sitting in the sanctum of Lord Muruga (Kambathu Ilayanar). He directed him to appear in that direction. Hence Chengalvarayana composed a verse in Tamil and placed it at Swamiji’s feet and did obeisance. Swamiji smilingly instructed him to go into the sanctum and read it to the deity. Accordingly he went in the sanctum and read it five or six times and showed camphor flame and brought the paper to Swamiji again. Swamiji told him, Go, go. It will be cured before sunrise”. Accordingly the girl’s fever receded at 4 a.m. and she became all right. Krishnamurthy was a village Munsif. He heard from his friend about Swamiji’s greatness even when he was in his school. Every summer he used to get scabies in both his hands. It used to bother him for four months. During that period he had to depend on somebody else to do his work. For ten years he struggled with it and neither application of medicine nor magic could cure him of that. He then remembered Swamiji and rushed to Tiruvannamalai. On reaching there he went to a restaurant and took some tiffin. When the server brought coffee, Swamiji suddenly appeared there and started pouring the coffee to cool it and also drank a little. As Krishnamurthy had not seen Swamiji before, in his ignorance, he became somewhat angry. Luckily for him, he controlled his temper. Swamiji asked him if he had scabies in his hands and advised him to apply kumkum on it the very next day. Saying this, Swamiji ran away from the place. Sri Ramana and Sri Seshadri Swami fulfilled complementary roles in preserving collective purity and quality of the brain power in the nation and warded negative degenerative influences that is common in today's kali yuga. They lived during a turning phase of the globe where mind and matter were gradually gaining grounds over spirit and soul all over the world. They also retarded the degenerative influences of the Karmic forces running our lives subtly. Both of them were utmost simple in their living styles. Sri Ramana perhaps followed the "gyan marga" - the path of wisdom through rigorous self-inquiry. His teachings have motivated western psychologists and thinkers and provided solutions for people all over the world. He retarded the degeneration of the human mind manifesting through depression, violent tendencies and so (on which were gaining grounds in the rest of the world). Sri Seshadri Swamigal followed "bhakti marga" after rigorous austerities (tapas) earlier in a mystical manner using unconventional remedies, chanting mantras and so on. He stabilized the devotional aspects through his innumerable healing miracles during His lifetime and restored faith in people of the healing power of God. A very nice, concise and accurate summation of the life of both these two great Mahans. They both had Divine missions which expressed themselves in entirely different ways. Writing this in memory of my mother. When she was young she used to do 'giri pradhakshanam' in want of a baby every day. Once swamigal tapped her back and said 'Kodanu kodi pirakkum' . She conceived a child soon after that incident and went on to have 7 children. All of them are well settled. She is no more but her prayers to swamigal is what is guiding and protecting all of us. 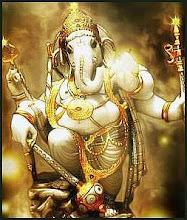 Om tat sat.